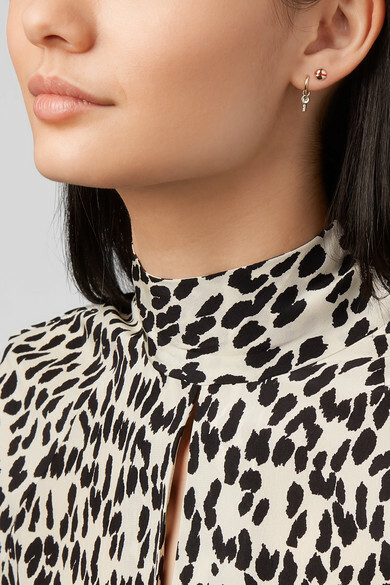 Alison Lou's collections are filled with single earrings like this one that can be mixed and matched for a cool, personalized look. 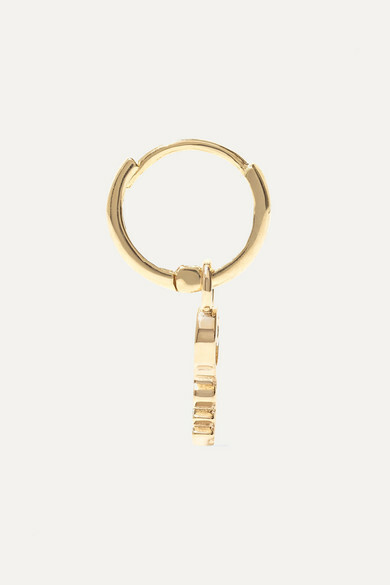 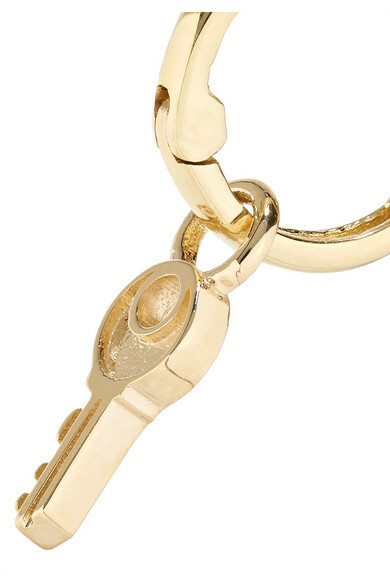 Handmade from 14-karat gold, this lobe-hugging hoop is string with a dainty key charm. 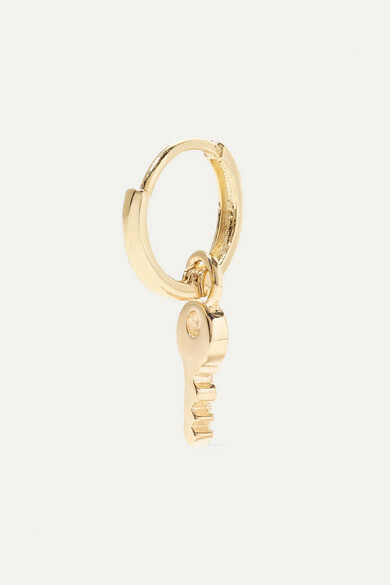 Why not get the lock version, too? 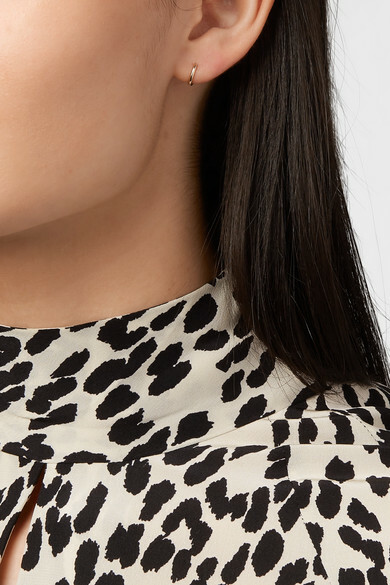 Shown here with: Petar Petrov Blouse, Alison Lou Earring.